Regular visitors will of course be familiar with me and my Yak and the nightmares fun we have together. Irregular visitors [see what I did there?] may even be familiar with the saga of the wheel… you see, all that time ago when I spent all that money on all that trailer I was thoroughly disappointed to find the stock wheel & tyre supplied with my BOB Yak had clearly been pinched from the nearest kid’s bike and thrown in my box. A lot of time, a heap of internet research and more visits to various bike shops than even I think was appropriate and I was all kinds of familiar with the different versions of 16″ wheels and 16″ tyres, none, NONE of which are interchangeable. Originally, I bought a stock Brompton front wheel and a 349c 16″ Schwalbe Kojak slick tyre (tyre pressure is between 60ish and 120ish, as I recall) but it turned out the axle length on Brompton wheels is considerably narrower than the 100mm (standard front axle) width the Yak required; so, replacement wheel #1 was promptly sold. 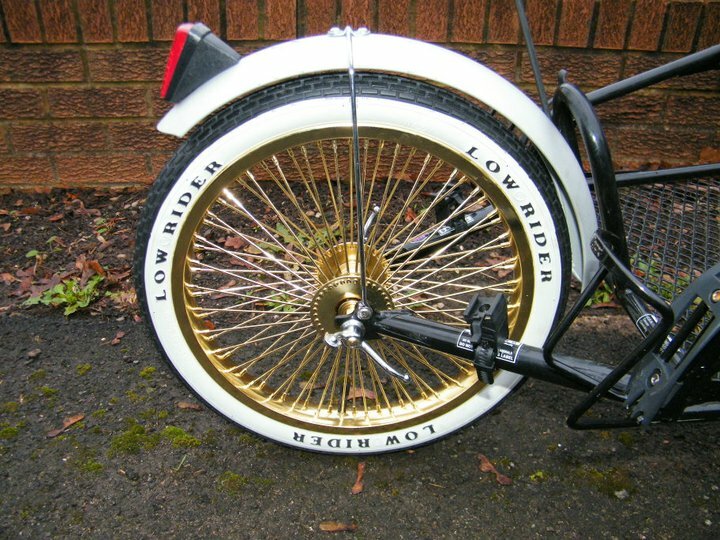 Replacement wheel #2 was a 305c 16″ lowrider wheel complete with 16 x 1.75″ white wall tyre; essentially the same wheel & tyre size as the original but with extra bling bling, 17 million spokes and a couple of extra pounds weight. Cool eh? Cool, heavy and blinging aside, that wheel really isn’t much better than the stock kid’s bike one I started with and, although the tyre would accept a little more pressure (and therefore drag less on the road), it really wasn’t the solution I was looking for. Cue replacement wheel #3: a custom built 349c Brompton rim laced to a standard 100mm wide quick release road hub, all wrapped in a brand new 16 x 1″ Schwalbe Kojak tyre – sweet. I can run this with high or low pressure (dependent on how much weight I have in the trailer), it’s super light, nice and strong, the tyre’s super sticky and it comes with awesome puncture protection and reflective tyre labels. It’s amazing the difference it makes to the feel and handling of the trailer. In those bad old early days with the crappy original, I remember dragging the damned thing up and down hideous climbs and I distinctly remember the crappy tyre buzzing on the tarmac, sidewalls pathetically flexing under load and generally ruining my life. These days, I fit the trailer to the back of the bike and just forget it’s there! No matter how much weight I have in it, the larger rolling diameter, slick tread, higher pressures and more resilient sidewalls just keep the trailer well planted and make sure it’s not ruining my life any more than it should. Now, I happen to lurve Kendal Mint Cake and on more than one occasion it’s saved me from certain bonk atop a ridiculous climb in equally ridiculous heat… I mean, come on, 4 different kinds of sugar all melted down, given a minty fresh zing, (sometimes) wrapped in chocolate and sold in gift shops everywhere… what’s not to like? Yes, it’s true they climbed Mount Everest on it. Yes, it’s true I’ve had a bar of it in my cupboard for ever. Yes, it’s true I sometimes take it with me when I’m cycling but no, it’s not true that it’s a good cycling food. Kendal Mint Cake, as awesomely tasty, minty and sugary as it may be, is really not much more than a block of pure sugar. Now, sugar’s great for picking you up when you’re down and a bar of the white stuff (I prefer the brown, personally) will certainly beat off the worst bonk but it won’t last for long. Your body burns sugar really quickly and, before you know it, you’ll be back to bonking again and it’s only going to be worse because you’ll also be crashing from your sugar high. So, by all means, grab a bar or two from the gift shop and stick it in your pockets but rely on it in small bites at a time as only the last of last resorts – you’d do much better to get plenty of slow release energy into you prior to the ride with some Clif Bars and / or bananas in your pockets. Other high quality energy bars and fruit are available. It’s OK. You can all breathe again. No need to sit on the edge of your seats anymore. I know you’ve probably all got the shakes from missing out on a whole week’s instalment of ‘Random stuff people were searching for when they landed here trivia!’ but worry ye not, dear readers, lifeinthecyclelane is still alive and kicking; we’re just broadcasting to you from a new undisclosed location somewhere to the West of Manchester. So, with the madness of the move out of the way, whatever passes for normal service around here has resumed. 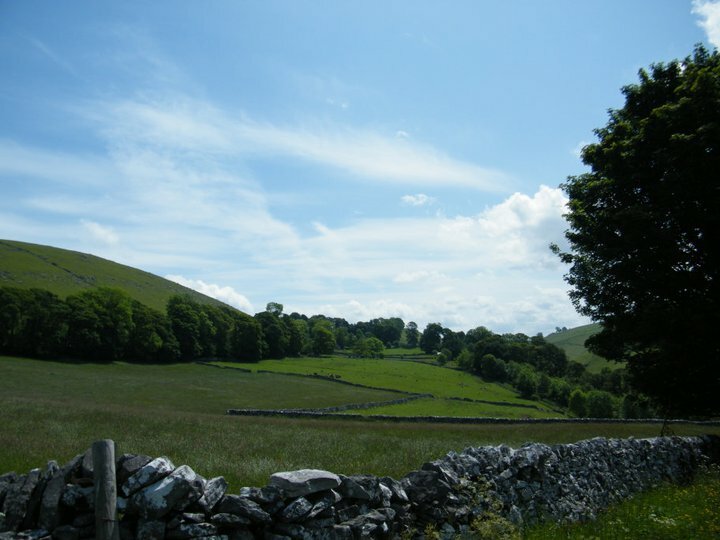 Well, whatever they happened to be searching for, it kinda got me to thinking about the time I spent on NCN Route 54 and, more specifically, the off road stretch of it known as the White Peak Loop – you can read a quick report here. Home to some of Derbyshire’s finest scenery which, on the day in question, was bathed in glorious sunshine, it’s fair to say the White Peak Loop is a beautiful place to be and you could certainly do worse than spend an afternoon there with a nice picnic and a loved one (or two, if you’re lucky). As per my initial report though, you are hereby officially warned against heading there with heavily laden touring bikes. 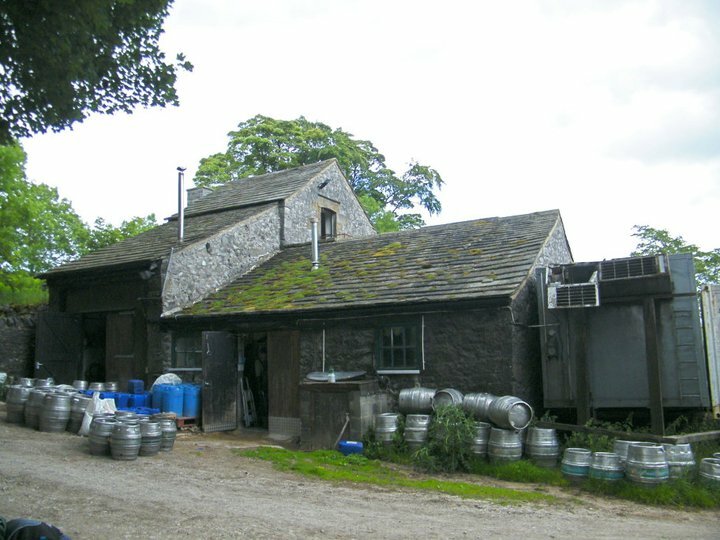 Head just off the trail and you’ll (eventually) stumble across Whim Ales; a very small brewery at the top of a very large hill. As we were on ‘The Brewery Tour’, visiting as many breweries as possible (and bagging as much free booze as possible), we stuck our heads around the door and were given an impromptu tour by the poor unsuspecting folks we met inside. Considering they’re not open to the public, don’t do tastings or sales and we were filthy, sweaty and wild-eyed, we received a warm welcome and a cold wine bottle full of one of their beers (for free). It almost made the hideous climb all worth it. Almost. 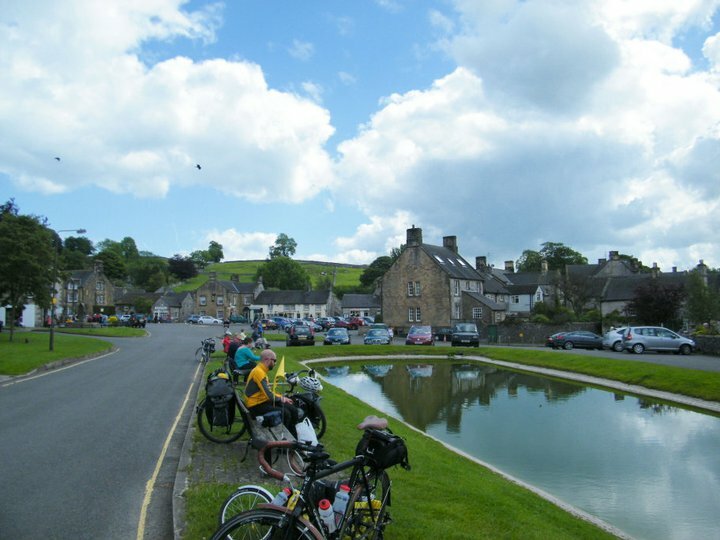 Head off the trail again (free beer safely stashed in the trailer) and you’ll find yourself feeding the ducks in the delightful little village of Hartington. OK, so there weren’t actually any ducks but the duck pond itself was very pretty and it made for a lovely little lunch spot. 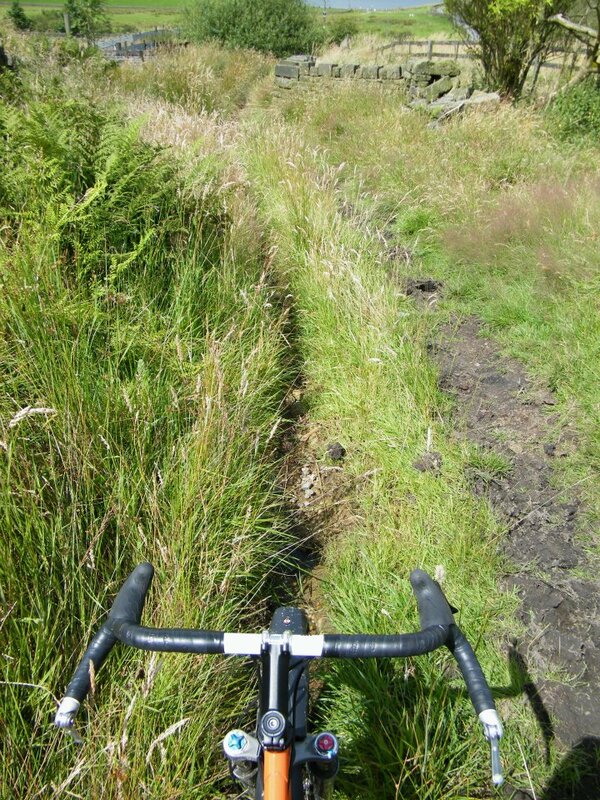 Oh, don’t be deceived by this rare patch of flat road, by the way; being Derbyshire, you’re never far from some kind of climb and / or descent… there’s one just down there around the corner as it goes. So, head just down there around the corner and climb the hill (it’s a beautiful road cut into the hillside) and you’ll soon find yourself turning onto the traffic free (mostly) flat and extremely pretty (so pretty I didn’t take any pictures of it) Tissington Trail; so named because it runs through the equally pretty little village of Tissington which just happens to be an excellent spot to stop and nom some malt loaf. 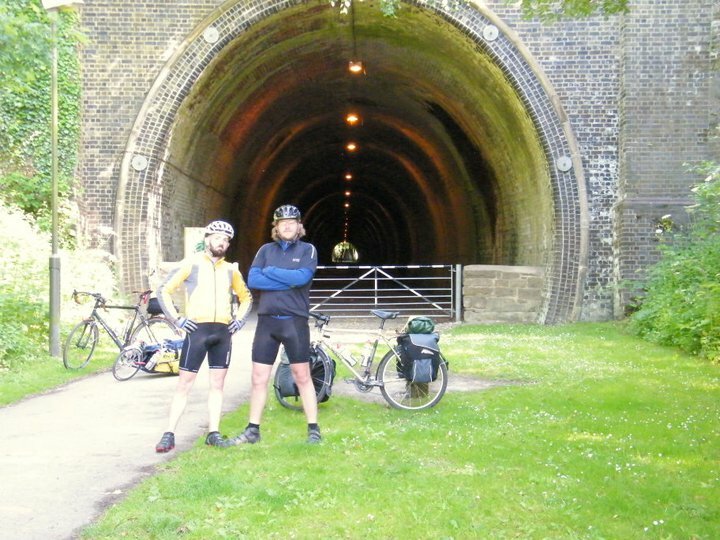 Follow it all the way to the Southern tip like we did and you’ll find yourself posing in front of the Ashbourne Tunnel for a rather questionable picture in your rather questionable shorts. If you’re a regular in these parts, you’ll be familiar with my… shall we say… less than conventional ways. And, as this week’s episode of ‘Random stuff people were searching for when they landed here trivia!’ suggests, my readers are also just a little bit craa-aazy. How should bullhorn handlebars be fitted? – Properly. By someone who knows what they are doing. What is the expected lifetime of SKS Commuter mudguards? – Depends on how badly you abuse them, I suppose. Schwalbe Kojak or Brompton Kojak? – Pssst… it’s the same tyre! The regular one has reflective tyre labels; do you really think the reflective strip on the Brompton version is worth the extra money??? Me neither. Is Carrbrook a council estate? – Used to be, yeah. What year is my Coventry Eagle? – I have NO idea, 1960s or 1970s probably. Who makes Transporter Bumper trailer? – Raleigh, I think. Or, whichever Far East company builds stuff for Raleigh these days. Right, with the mysteries of the universe finally solved, it’s on to some cycling related trivia. A couple of people this week have been asking about On One Midge handlebars and, having had a set for a little over a year, it’s probably high time I did a little report on them. So what’s the deal? Aren’t they just weird shaped road bars? Well, yes and no. Essentially they are based on a road style bar in that they have flat tops and then drop down in the usual hooked shape. Naturally, they only suit road style brake levers (no, you can’t run flat bar type levers on them) and the internal diameter is big enough to accommodate bar end shifters. But here’s the weird thing… or at least the first weird thing… they come with either a 25.4mm or 31.8mm clamp size; the likes of which you normally find on mountain bike stems [although many road bike stems now come with a 31.8mm clamp]. The other weird thing… or at least another of the weird things… is that angle which the drops are splayed out at. Why, WHY would they do this? Well, what you get with wider bars is more stability and (so those better and braver off road than I am tell me) the splay makes the brake levers more accessible when riding in the drops which apparently gives you the confidence to hammer downhill offroad at eye watering speeds. You’ll notice however, the splay also places your brake levers at a rather strange angle. For me and my Cane Creek SCR-5 levers, this results in an unusually comfortable riding position, almost akin to that you get from aero bars. 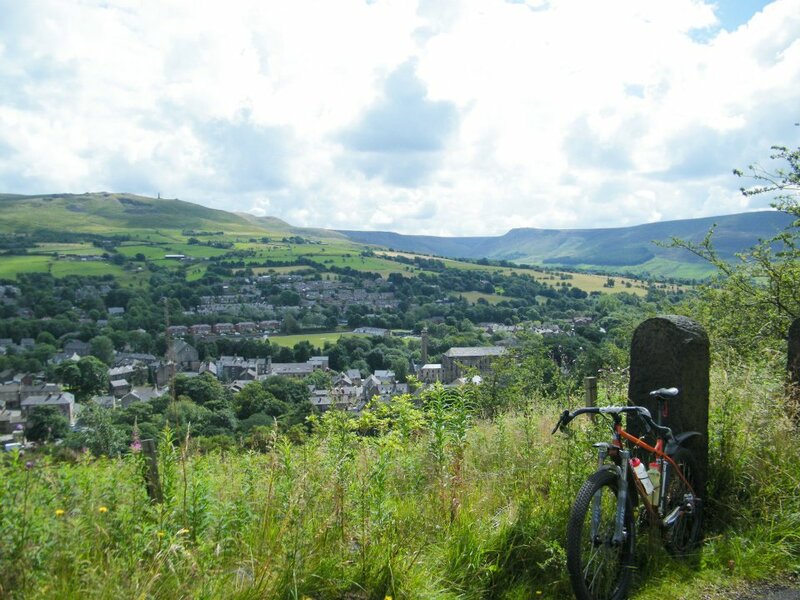 I do find myself riding on the tops most of the time but more recently, I’ve been making an effort to get down in the drops; it’s a little strange with all that extra width but it does make a nice change from the somewhat upright riding position I have on the Troll. So, would I recommend them? Well, yes and also no. For your regular common or garden road bike, they are all kinds of wrong. Most mountain bikes will be set up with mountain bike brakes and derailleurs so consideration needs to be given to the types of levers and shifters you’ll need to buy to make it all work. Cyclocross bikes tend to come with road style bars and integrated shifters & brake levers and are designed to hit the trails anyway so it should be a simple case of switching them over (you may need a different stem, remember). 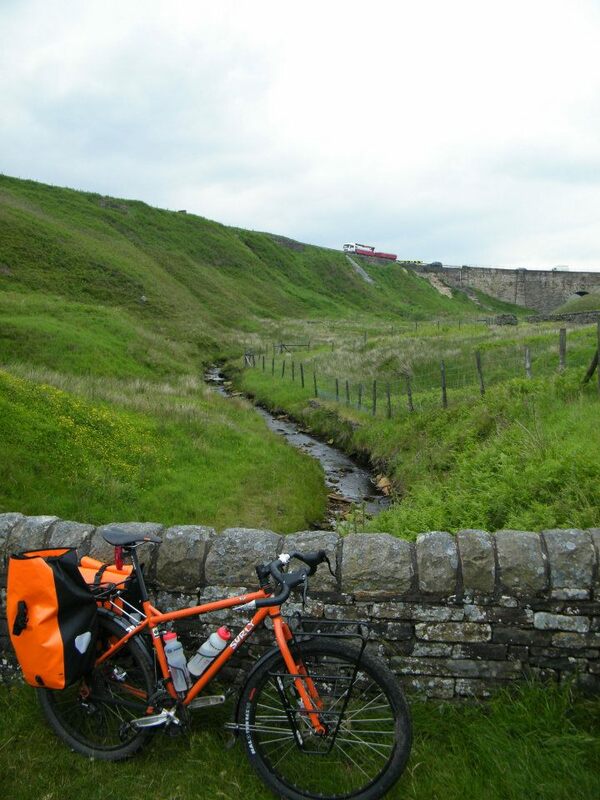 Touring bikes like my Surly Troll are most suited, I think. All that extra width helps to give you more stability which is helpful when you’ve got stuff hanging off the bike in bags and / or on a trailer. There’s also plenty of room for fitting cross levers, lights and handlebar bags. My personal opinion? I love the way they look on the bike, I love the way the bar end shifters are kept well away from my knees and I LOVE the way I can change gear with my little fingers when I’m riding in the drops. 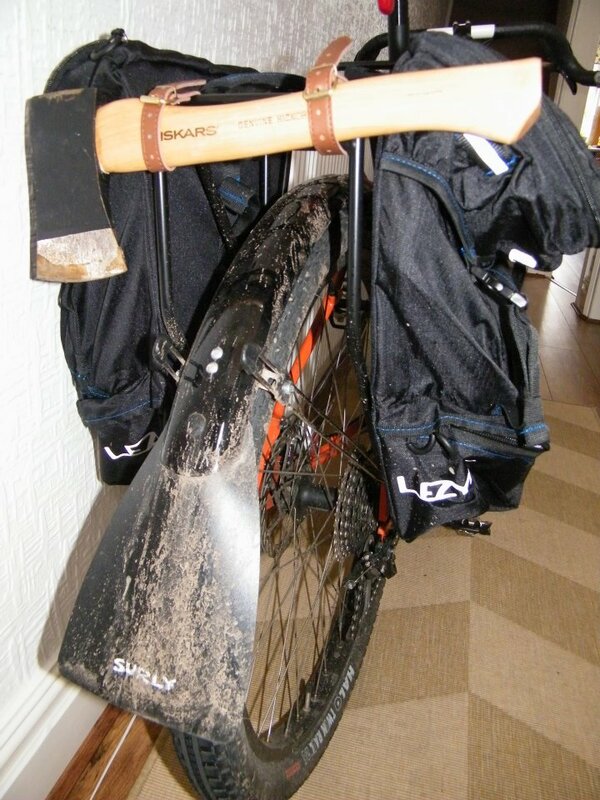 For me and my Troll, they work great even if they are so wide I have to lift the whole bike over narrow gates etc. but I suspect they are not for everyone. That would be weird in such a rugged place! Something a little heavier than our usual musical interlude for you today… but hey, sometimes only heavy metal will do. Play it loud or not at all. Since my recent crash, I’ve been riding around with DMR Moto R/T 26 x 2.2″ tyres on my Surly Troll; largely this is because I was looking for something that was essentially still a road tyre but more suited to the changeable conditions and, with a little bit of luck, less likely to send me face first into the pavement at the first sign of the cold, slippery stuff. According to DMR, the RT in the name stands for “road and trail” as this is a “great tyre for street riding, hard pack trails and dirt jumps”. Now, I don’t do a great deal of dirt jumping what with the Troll weighing just shy of a metric ton but I can report that thanks to the rounded profile and closely spaced yet flexible tread, these tyres do provide an extra level of stability, grip and confidence on the trails and I actually found them to be very capable in deep, wet mud. On the road however, I have to say these tyres really, really drag and the buzz you get from knobbly tyres on tarmac started getting on my nerves after a while. Recommended maximum pressure is 60psi which I found to be perfect for the trails (I like a firm ride anyway but it still wasn’t too harsh) but on the roads I found even pushing the pressure beyond the limit and up to 70psi didn’t really help minimise the drag enough for me. After a few weeks, I just couldn’t take it anymore; the Troll felt heavy, sluggish and really wasn’t much fun to ride. So, I went back to the tyres I had on before. The tyres I crashed on. Also 26 x 2.2″, this isn’t the first set of Halo Twin Rail tyres I’ve owned. I used to run a set on an old mountain bike I had and I liked them so much I invested in a set for my cyclocross bike in the 700c size. These days, they make ’em in just about every size and colour you can imagine with single and dual compounds and they all come with puncture protection rivaled only by the legendary Schwalbe Kojak. Halo decribe the Twin Rail as a “trail and street tyre” and recommend a maximum 65psi for off road use and 85psi for on road use meaning they “perform in almost all conditions”, which they do. As I’ve said, I prefer a firmer ride so I rarely let the pressure drop below 70psi and I’ve ridden through just about everything with these tyres. They’re awesome on hardpack dirt, great on gravel, capable of dealing with everything but the deepest sticky mud and (critically for me) they’re phenomenal on the road. Unlike the DMR Moto RT which is really a trail tyre at heart, the Halo Twin Rail is a road tyre first and a trail tyre second; the name of course comes from the 2 central rails which (when the pressure is high enough) are they only things in contact with the black stuff so rolling resistance really is kept to the bare minimum. Of course, once you start to lean or you hit the trails, the smooth, rounded profile of the tyre kicks in and the recessed ‘knobbles’ (Halo call them ‘sleepers’) ensure you have plenty of grip without the tyre flexing as much as a traditional knobbler. If you ride mostly on trails (this includes gravel, grass, mud, canal towpaths and everything inbetween) and you only use tarmac to access said trails, the DMR is the clear winner. If you ride mostly on the road but you want to be able to skip onto the trails or explore that bridleway on the way home, you need a set of Halos in your life. 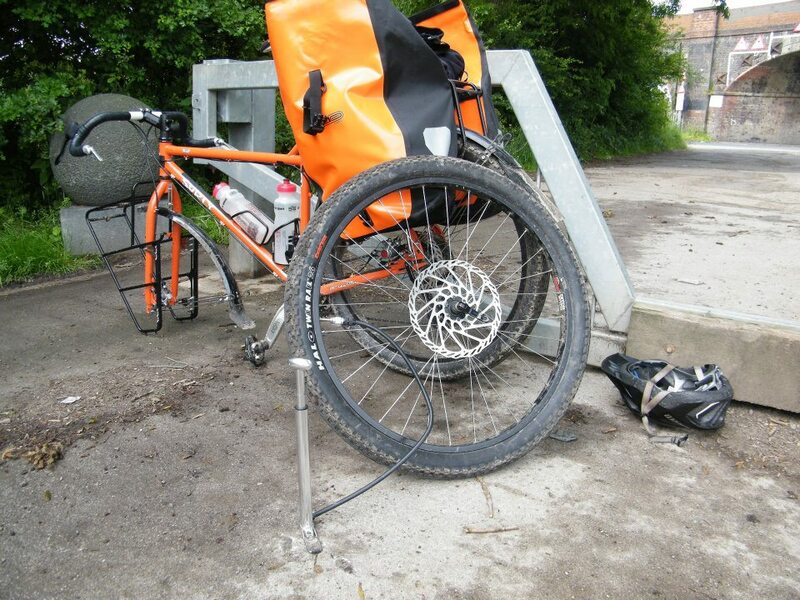 Oh, I don’t know whether this will form part of your decision making process but the DMRs don’t boast any puncture protection where the Halos do… but, nothing is totally puncture proof so you’ll want to carry a spare tube and a decent pump too (mine’s a Lezyne but that’s a story for another day). Today’s ride was a mere 15 miles (I ran out of daylight and my lights failed so I had to get the train back) mostly on the road but with a few impromptu miles of canal towpath thrown in. It’s cold up here in t’ North this week to so there was plenty of the dreaded ice around… I’m happy to report no crashes, despite a couple of two-wheel slides which didn’t faze me. My confidence is steadily returning and I’m back in love with the Troll now the Halos are back on. 2013 is going to be good. Being the lazy, no good civil servant I am, I haven’t been at work since some time back in late December; even then, I wasn’t really working… In any event, I’ve completely lost track of who I am and what day it is but those in the know tell me it’s Thursday today which can mean only one thing! Random stuff people were searching for when they landed here trivia! Please, try to contain your excitement. Dude, you’re clearly looking in the wrong place. In other news, keep your eyes peeled over the next few days for a review of my custom wheelset I had built by the good people over at Keep Pedalling, Manchester. Happy holidays dear readers! I hope you’ve all been having a relaxing and enjoyable time whether you celebrate xmas or not. Over here at life in the cycle lane HQ, we’ve largely been doing lots of cycling up in t’ hills, eating lots of delicious food and drinking more than a few glasses of excellent wine. 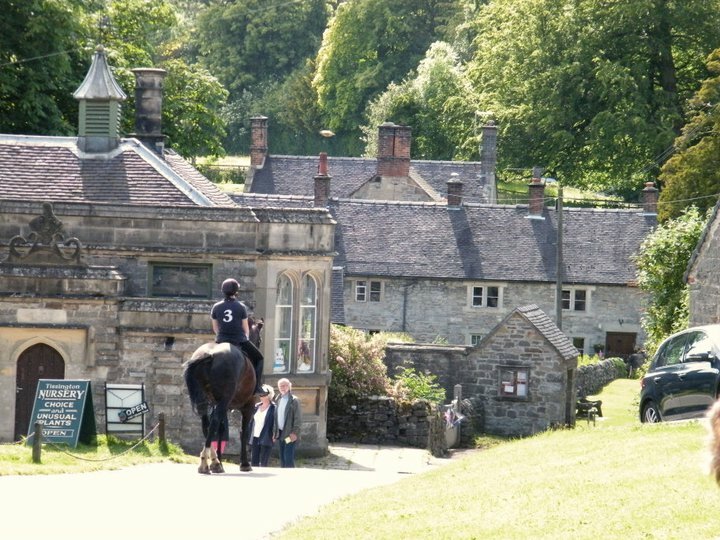 Keep your eyes peeled for a report on just some of our recent adventures. In th meantime, another week has passed us by and Thursday is once again upon us which can mean only one thing; yes, it’s time for another instalment of ‘random stuff people were searching for when they landed here trivia’! Grab yourself a mince pie or something else delicious, pour yourself a glass of wine and sit back whilst I entertain you with this mindless nonsense. Our first special guest this week comes to us via Google and wants to know “trivia about searching things” – no, really; somebody actually was searching for that when they landed here! Worry not, your search is over! You’ll be (semi) pleased to learn that we explore the murky world of search trivia here at life in the cycle lane every Thursday, week in, week out. Got a glass of something to wash your mince pie down with? Good. Welcome to the family. 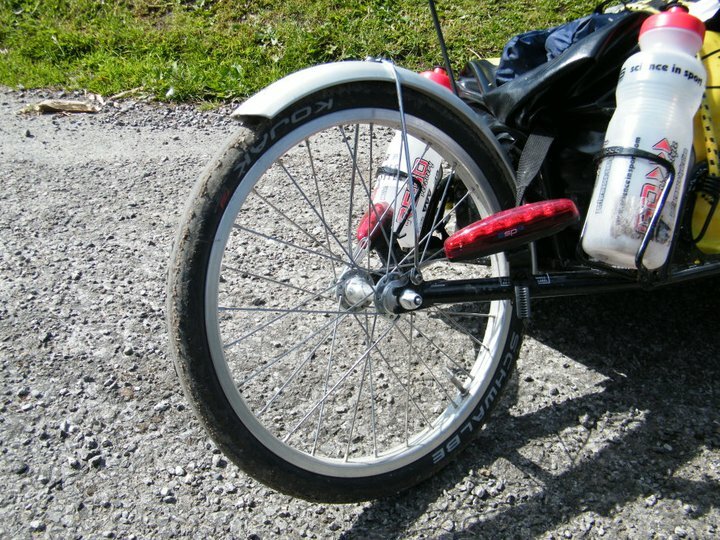 I had a wheel custom built for my BOB Yak using a Brompton 349c rim which I run with a Schwalbe Kojak 16 x 1 1/4″ tyre; it’s slick, narrow and designed for high pressures so if you’re a lettuce, it’s not for you. There are some slightly larger alternatives around the 16 x 1 3/8″ range which will give a little more comfort but I suspect you’re wondering whether something like the 2″ wide Schwalbe Big Apple would fit, yes? Well, no, it won’t. Sorry. Seeing as Keep Pedalling, Manchester is my all time favourite bike shop ever and the place I source all my cycling gear these days including a rfecent custom built wheelset, I’d be more than happy to provide you with a review – that’s a job for next week. In the meantime, get yourself down there once they reopen in the new year and have a drool over all the cool stuff they have in stock. Oh. Really? That’s a shame. Please feel free to donate it and I’ll make sure it finds a home with someone who’ll truly love it. Drop me a line here. Sigh. If you need to ask that question, you really shouldn’t be attempting to fit the crown race yourself. Get it wrong and your headset simply won’t work and if you try to ride your bike like that, you’re guaranteed to suffer a catastrophic failure which will no doubt result in you going face surfing. 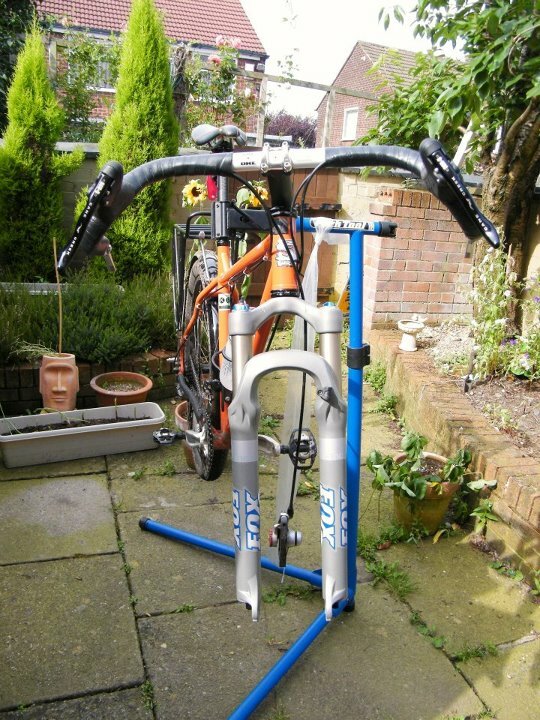 If you’re anywhere near Manchester, take your frame, fork & headset in to Keep Pedalling and ask them to fit it for you; they’ll no doubt also advise you on cutting your steerer tube down and other such things which require specialist tools and a bit of know-how. OK, that really is all we have time for this week; tune in next Thursday for even more mundane search trivia! why is your raincoat always crying? As utterly bonkers as Simone White may be, I must confess to owning (and regularly playing) her surprisingly excellent album ‘I am the man’ which is how I came to know of this equally bonkers song. Originally, I bought the CD after falling in love with ‘The beep beep song’ made famous by this brilliant Audi advert so please feel free to listen to that instead whilst I bore you with cycling related trivia. So why the fascination with the bonkers (albeit cute) Simone White all of a sudden? Well, regular visitors will know I like to post a song which is at least semi-related to the topic I’m boring you with writing about and today is no exception. In fact, dear readers, I have a semi-exciting new feature for you which may or may not become a regular fixture here at life in the cycle lane. A great many of the hits my humble little blog gets are referred from various search engines around the world and, through the magic of the stats WordPress provides me with, I can even tell what people were searching for when they landed here. So, I thought it might be fun to answer some of the questions I’ve been indirectly asked this week. Err… any one you like really; providing it has external cups of course. I use an S-1 in my Troll which looks and works great… I replaced the plastic top cap with a metal one but other than that it’s cool. 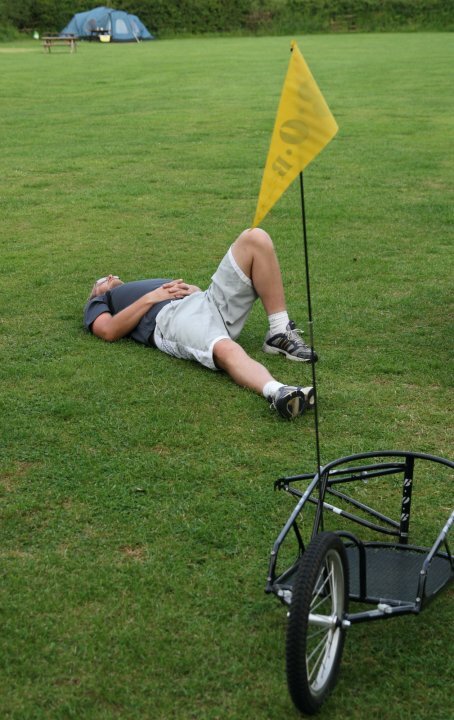 Punctures – Stop being a lettuce and spend some money on a decent set of tyres with puncture protection; they’ll pay for themselves in no time. I ride on Halo Twin Rails which are awesome as are Scwhalbe Kojaks (in fact, almost everything from Schwalbe is good for commuting). Visibility – Get yourself a bright yellow jacket if you absolutely must but any decent cycling gear should have reflective bits on it which go a long way to getting you seen out on the roads. I wear a Gore Phantom II jacket almost all of the time and it has plenty of shiny for me. Lights – Technically, this comes under visibility because commuter lights are really more about being seen rather than seeing (unless you ride home down a completely unlit street). Again, you have to be OK with spending a few quid here and you’ll want something with several modes (including flashing) to suit various light conditions. 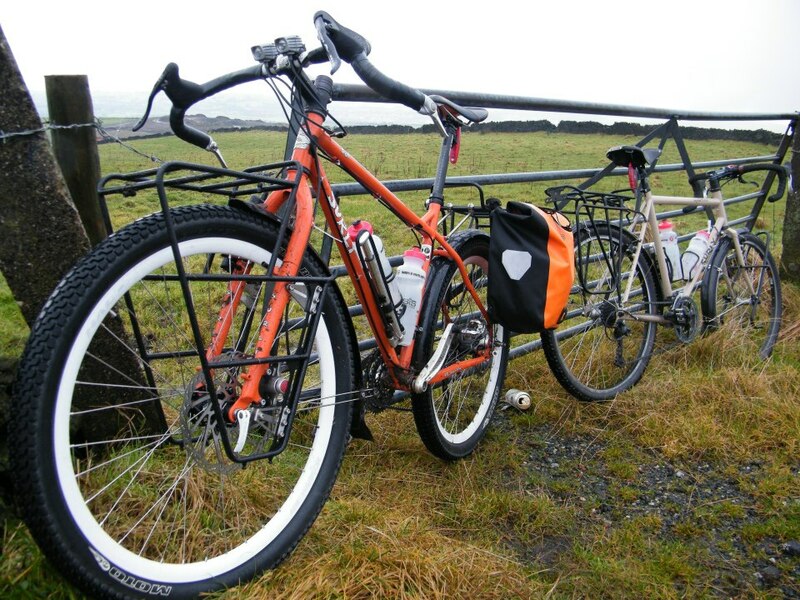 Luggage – Dependent on how much stuff you want / need to carry, you’re going to need some decent luggage to house it if you’re serious about commuting; to carry said luggage, you’re also going to want a decent rack. 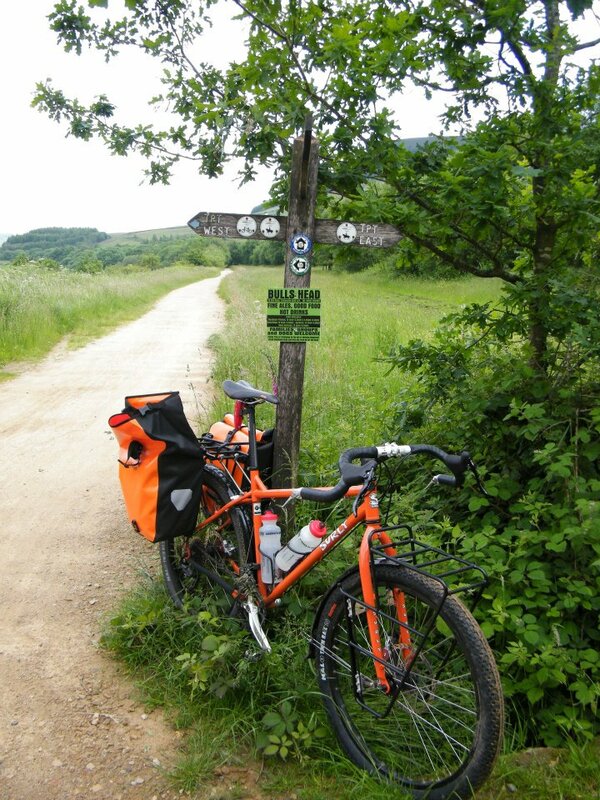 I use a pair of Ortlieb Back Roller Classic rear panniers which are rugged, waterproof and downright cavernous; they hang off a Ragley rack ’em up pannier rack which is awesome. Many, many other bag & rack combinations are available and some are more suited to certain bikes than others… head down to your local bike shop and get some advice. It’s heavy; stop being a lettuce.